Bicyclists and pedestrians cruising down Chicago’s 18-mile Lakefront Trail generally enjoy an exceptionally open, continuous and scenic path along Lake Michigan. But near Navy Pier they’re shunted inland, underneath a highway, onto sidewalks and through road crossings that interrupt their journey in the middle of one of the popular pathway’s most congested corridors. 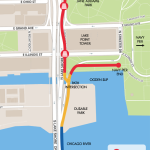 The Navy Pier Flyover, announced in 2011, was designed to remedy that situation, and today Mayor Rahm Emanuel announced the project has officially broken ground. 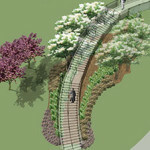 Though it won’t be fully open until 2018, work began on schedule for the portion of the pathway between Jane Adams Park and the Ogden Slip. The first phase of construction has a budget of $22.5 million. The total cost will be $60 million, split over three phases. 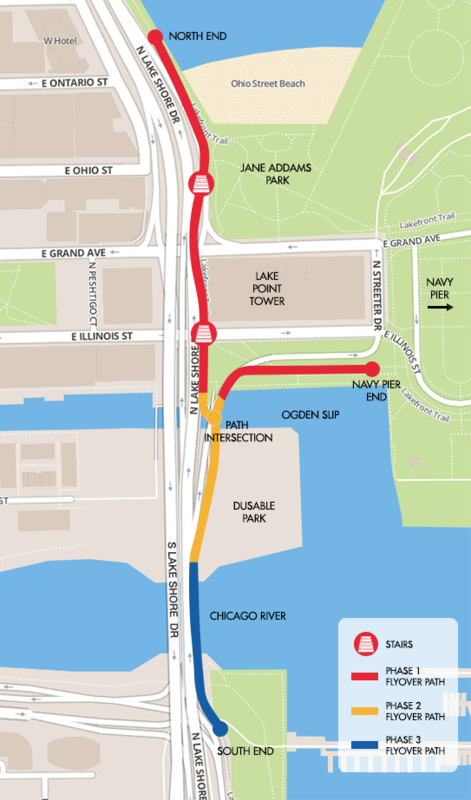 The Lakefront Trail and Lake Shore Drive will remain open throughout construction. 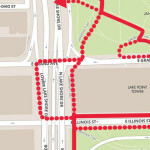 To track progress and occasional detours during the work, the city has set up navypierflyover.com. 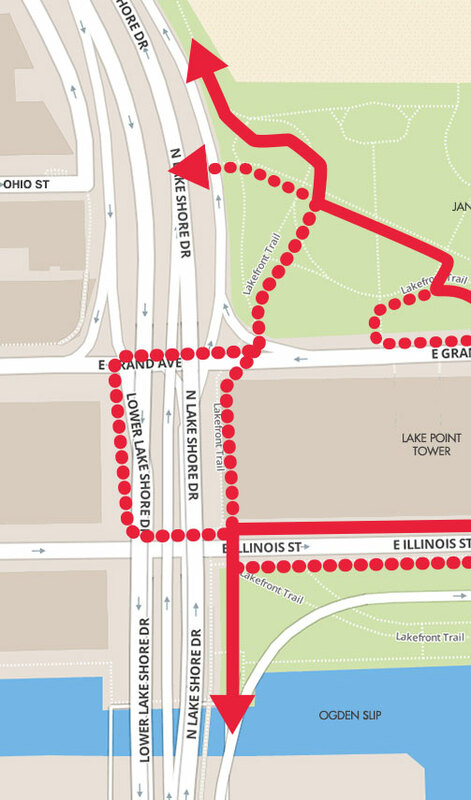 Sporting bike lanes and space for pedestrians, the trail will be 16 feet wide and approximately as elevated as Lake Shore Drive. 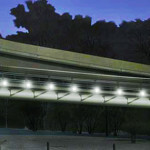 LED lighting will supplement the “ambient light of Lake Shore Drive,” according to the city’s website. The city called in architect Muller+Muller after studying the problem for years. That design, from 2011, remains intact. 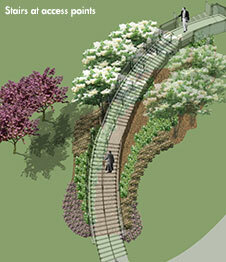 More design details are available here, in a presentation by the city made available online.